Oh my goodness. Can this movie really be old enough to drink? Where does the time go? 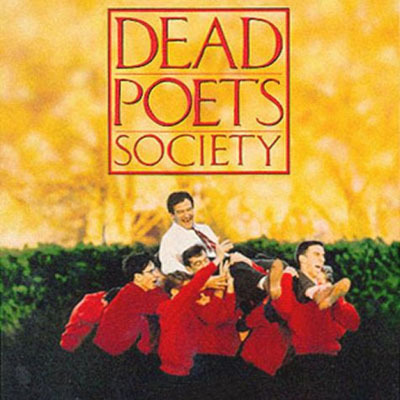 I guess it’s been 21 years since I saw Peter Weir’s 1989 film Dead Poets Society, because I watched it in a theater. Geez. Anyway, I got to thinking about it after seeing Branagh’s Much Ado About Nothing where Robert Sean Leonard plays the young lover Claudio. 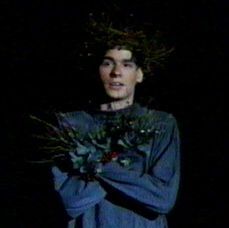 In DPS, Leonard plays the pivotal role of Neil Perry, the wannabe high school thespian who lands the part of Puck in a production of A Midsummer Night’s Dream. This film is so wonderful. It won an Oscar for Best Writing and was nominated for Best Picture, Director, and Actor. I love Robin Williams in this film. He is just perfect for the role — the inspiring teacher, John Keating. Doesn’t everyone wish they’d had a teacher like that? Funny, exciting, full of life, full of wisdom, full of dreams. He brings those dreams to life for his students. Poetry is the language he wants them to speak. And speak they do! He fires them up and gets them interested in life and love and living. You see the changes happen in the boys as they start to realize their interests, their individuality, and their potentials. The Dead Poets was dedicated to “sucking the marrow out of life.” That’s a phrase from Thoreau we would invoke at the beginning of every meeting. You see, we would gather at the old Indian cave and take turns reading from Thoreau, Whitman, Shelly — the biggies — even some of our own verse. And, in the enchantment of the moment, we’d let poetry work its magic. 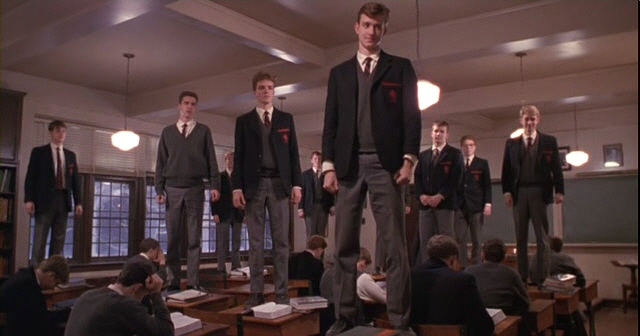 Of course Shakespeare is one of the dead poets venerated in this film. Neil takes the leap he knows his overbearing father won’t approve of and lands the role of Puck in A Midsummer Nights Dream. He is so excited! He’s doing something he really wants to do! Keating congratulates him as he leaves the theater, “Neil. Neil. You have the gift. What a performance. You left even me speechless. You have to stay with…” and then he’s cut off by Neil’s father, who even after seeing his son perform is seething with anger over his disobedience. Ah, life. I love this film. And I love the way it ends… the final scene is really touching. O Captain! My Captain!